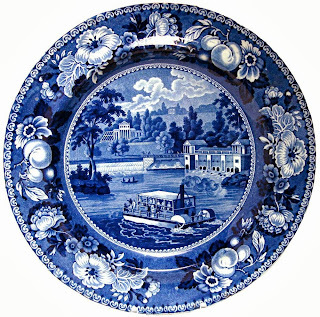 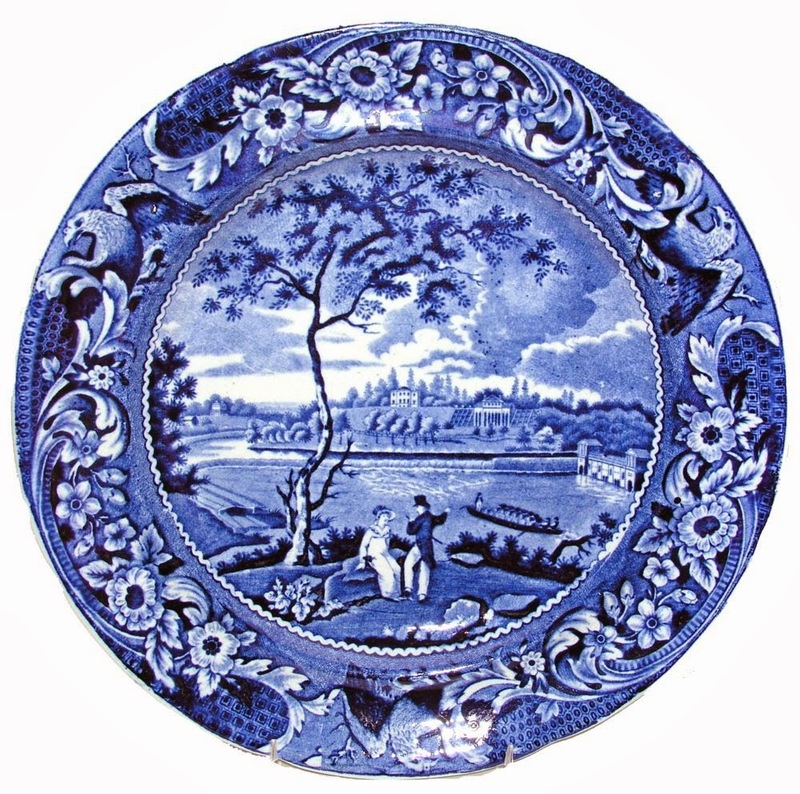 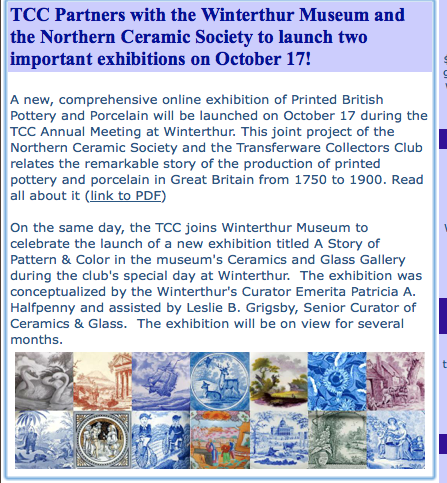 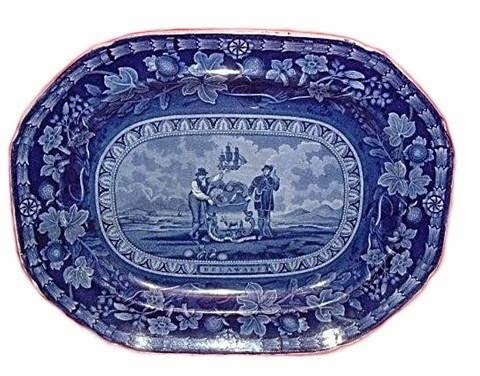 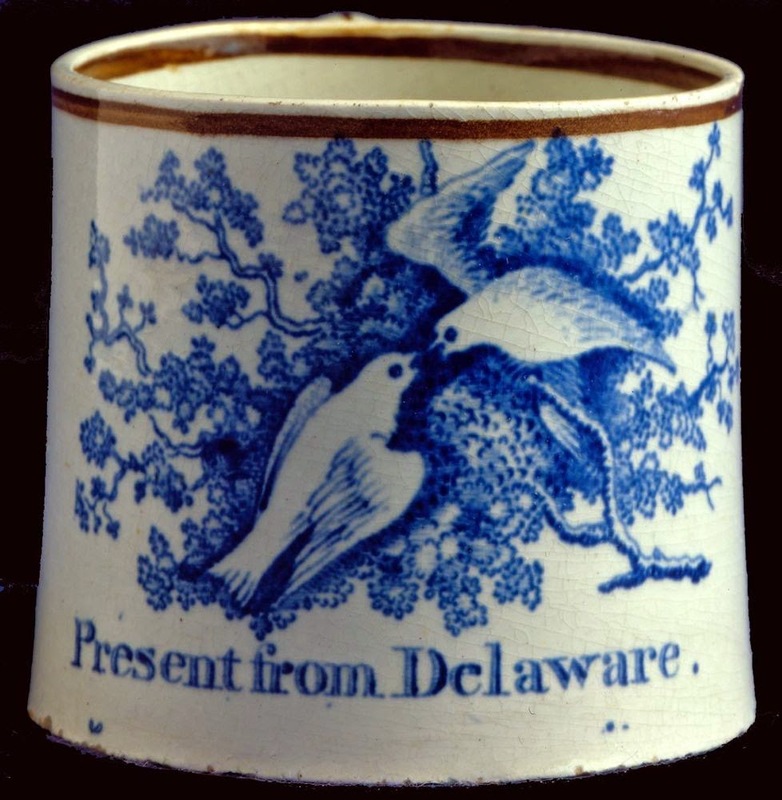 The theme of the fifteenth annual meeting (although this is a debatable point) of the Transferware Collectors Club was printing on ceramics. 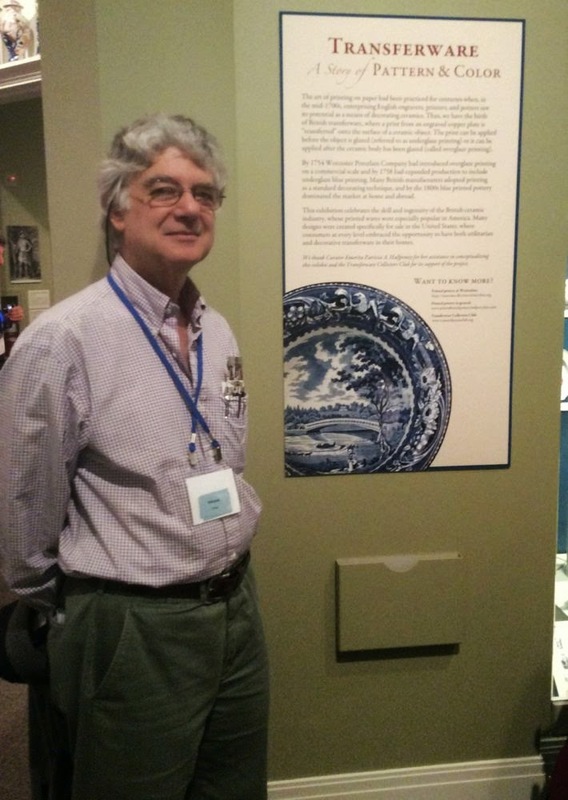 The meeting commenced with a lecture titled Perfecting Printing on Pottery by Pat Halfpenny. 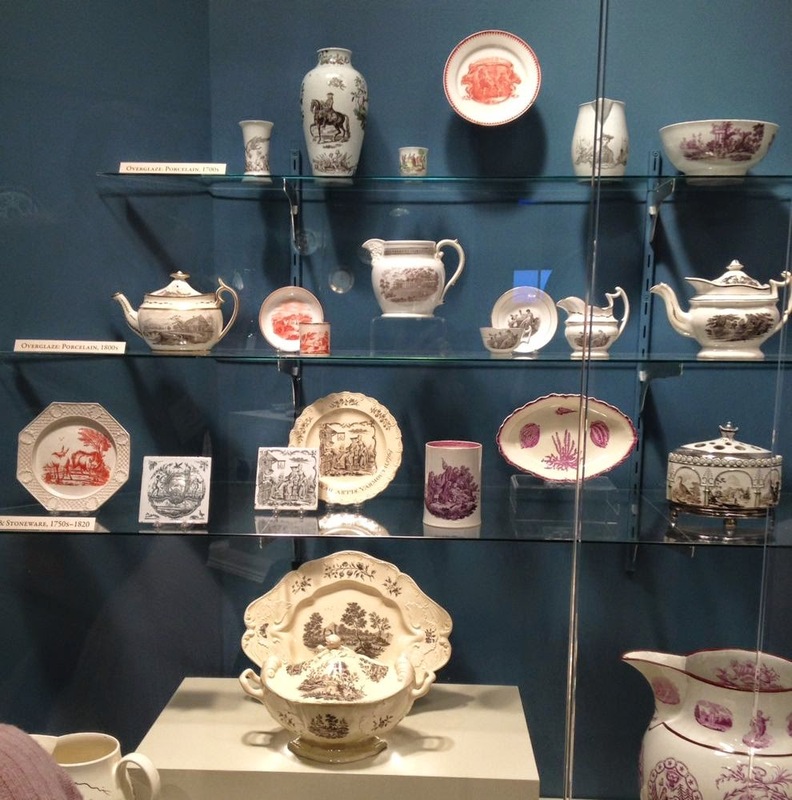 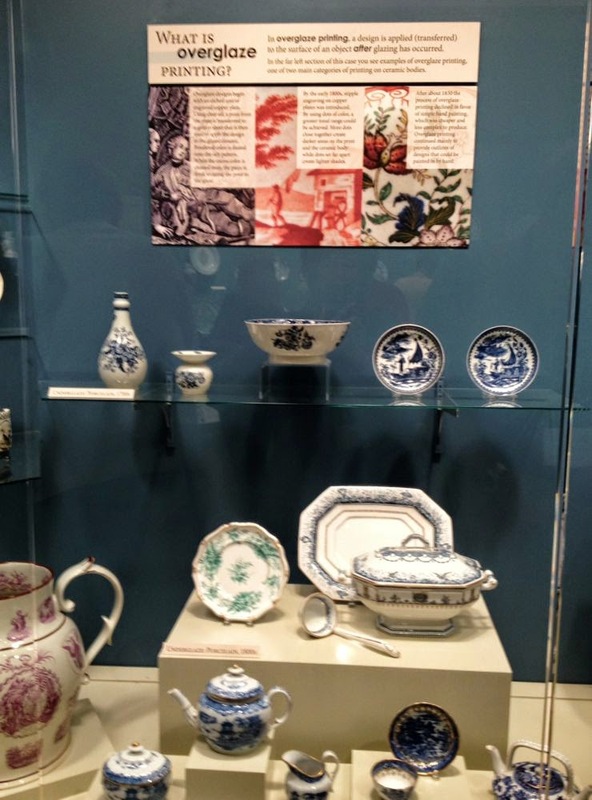 Pat's lecture served as a springboard for the opening of an exhibit at the Winterthur Museum in Delaware titled Transferware: A Story of Pattern & Color. Overglaze printing is exactly what is says; printing over the glaze! 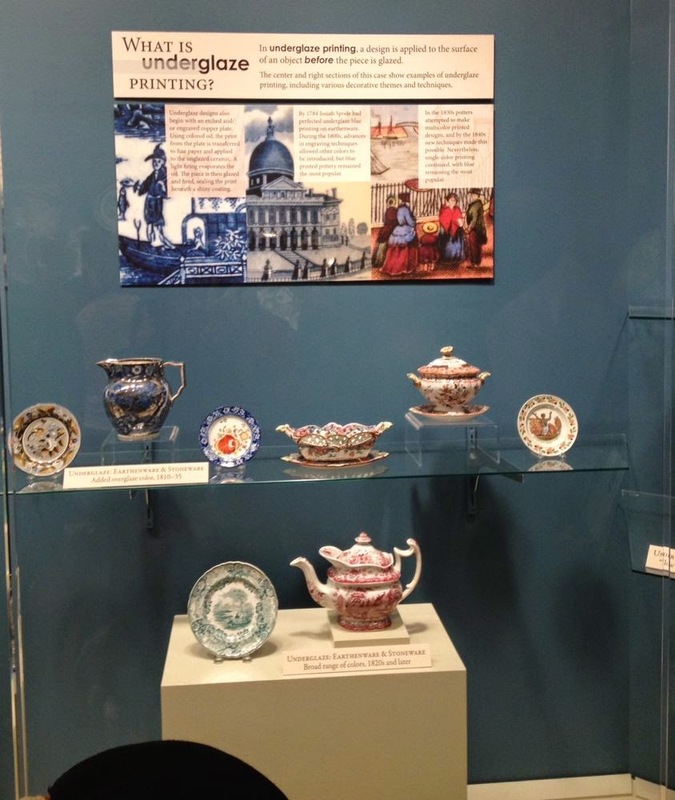 Below are some example of overglaze printed items. 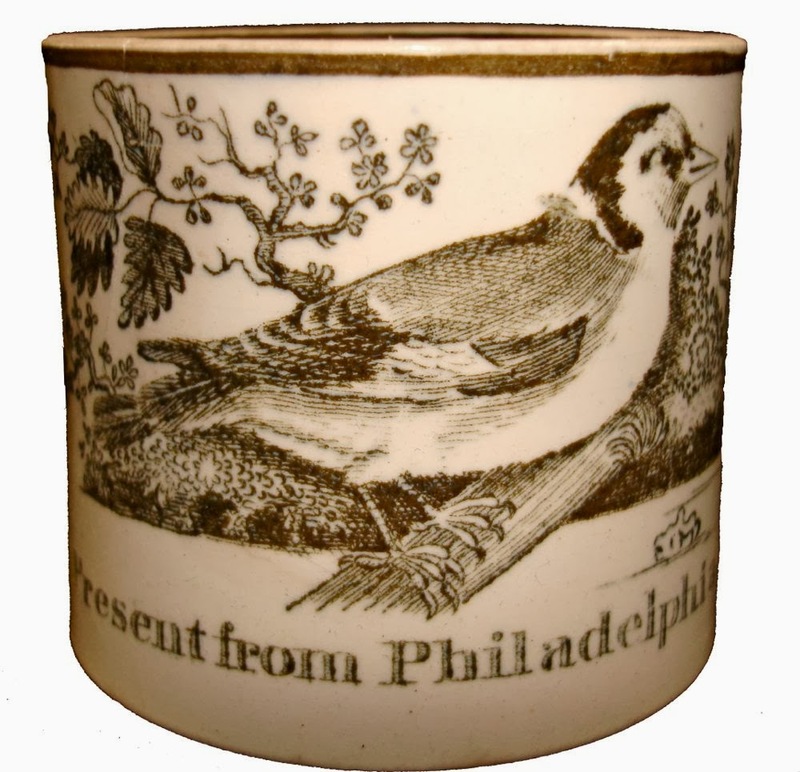 Underglaze printing is, of course, applied under the glaze. 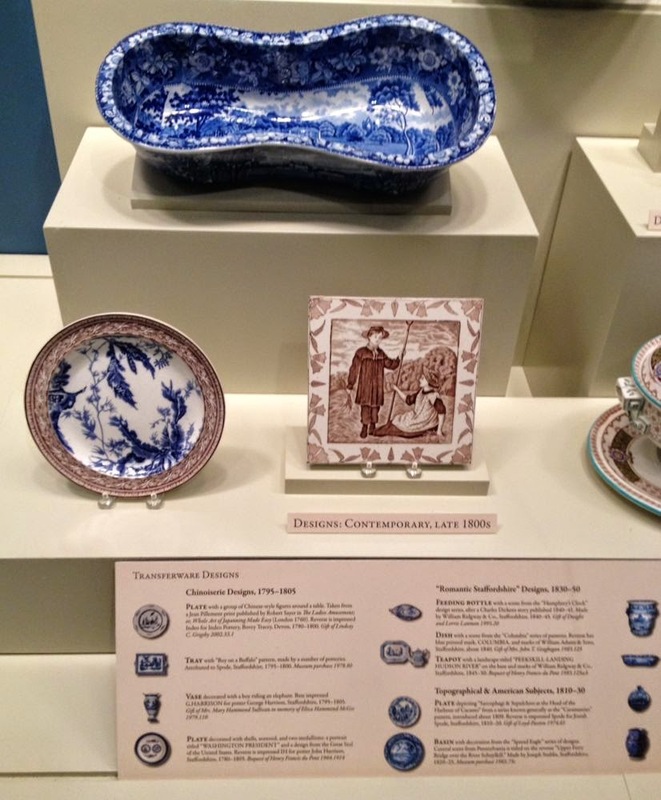 The online exhibit is an education. 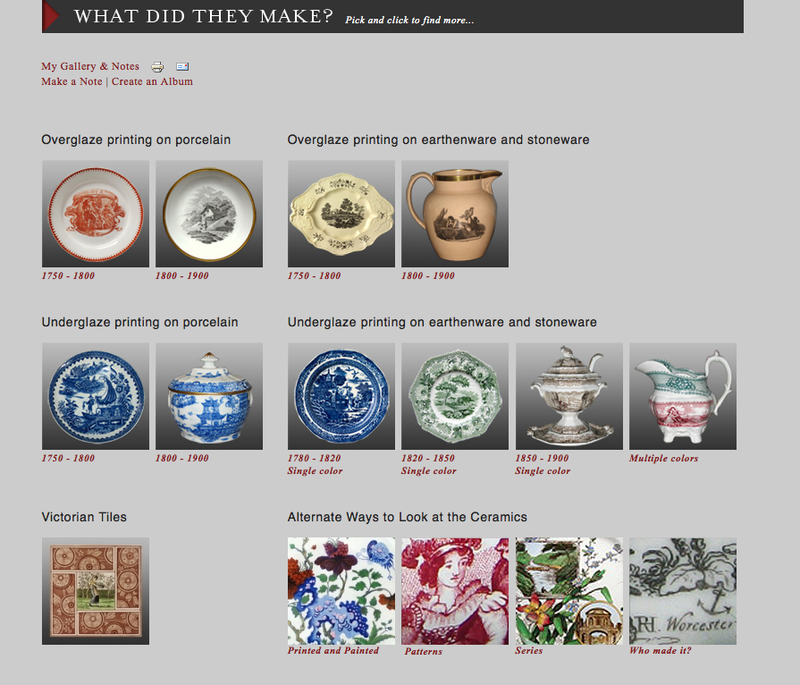 The answers to the questions of overglaze and underglaze are found by clicking on the link above.